Gout for a month now. 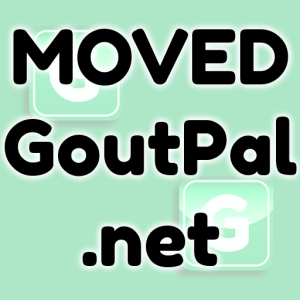 About GoutPal’s Old Gout Forum › Forums › Please Help My Gout! › Gout for a month now. This topic contains 15 replies, has 6 voices, and was last updated by DL35 7 years, 1 month ago. I moved my comment to the bottom of this page. Ok. I haven’t got gout in 3 years since the first time. Then six months ago I got it, which was not as bad as the first time. It went away in 3 days and after 2 weeks my foot was totally normal again. So the doctor put me on allopurinol. Then 6 months later, just a little under a month from today it came back but this time on my right foot at my Achilles tendon (It has never hit my right foot). Since then it hasn’t got better. The pain hit hard the first week and then it was gone. Now it’s week 3 weeks going on 4 and my tendon is weak, sore, stiff and sometimes hot. I can walk but I limp and there is only a little bit of pain which I can bare and no pain when I do nothing. Otherwise if it starts heating up I take an Aleve. I was reading this site it said not to stop using allopurinol so I didn’t. I don’t know what is going on. Nothing seems to be working cherries, diets etc. By the way I run a lot when I’m not hurt. My BMI is right and weight is right. I also eat really healthy. I’m also seeing my doctor tomorrow too. What’s going on. I’m trying of limping. Any ideas? That point about allopurinol – not stopping allopurinol once you start it – is almost the most important thing about it. The absolutely vital point about allopurinol is – It is only any good if it keeps uric acid level to 5mg/dL or below. If not, it is a waste of time, effort, and money. If you do not set a safe target for uric acid levels, chances are you will experience worse pain (often in new places), a week of serious pain, 4 weeks and more of weak, sore, stiff, and hot tendons, limping when you walk, etc. Exercise and a healthy diet are excellent – but only when they support good treatment. Good treatment means always knowing what your uric acid level is, and never let it rise above 5mg/dL (0.30mmol/L). You are doing everything right except the uric acid control – I think your doctor has to share responsibility for that. Having said that, I am only assuming your uric acid level is too high despite the allopurinol. Your symptoms are similar to the common issues associated with acute gout flares from dissolving uric acid crystals. pen, please can you post your uric acid test results, so I can decide if this should be filed under bad allopurinol dose or avoiding pain during first few weeks of uric acid lowering treatment. Thanks for the reply. Right now I’m taking 200mg of allopurinol I take it 15minutes after dinner and 2 hours before I go to sleep. i’m not sure what the best time to take it to make it more efficient. So today I saw my doctor and though it doesn’t hurt much he prescribed me colchicine. So I took 100mg of that. I also did a blood and urine test during visit. I’ll post the results as soon as I get them. I consider this attack minor compared to what I got the first time, but I’m still worried. I’m really hoping my uric acid is lowering and that it’s not a bad allopurinol dose. There is no point in worrying – just be determined to know your uric acid number. It is OK to loose track of your age, the current month, names and birthdates of loved ones etc, but ALWAYS KNOW YOUR URIC ACID NUMBER. If it’s above 5, do something about it. Keith so I’m back and I got my blood test results. The blood test shows my uric acid level at 5.9. Which is too high I believe. Dang it! I’m still taking my 200mg of allopurinol daily though, but now I’m taking 100mg after lunch and 100mg after dinner right after the meal. I’ve also added Black cherry juice to my diet just in case. Now to lower my uric acid under 5.0 gosh this is going to kill me. I’m already dieting as much as possible, but I’m going to work on it maybe I can find the or a trigger food. I’ve seen pictures of tophis already and I’m not going there. My limp is still here after a month, but I’m guessing the crystals are still dissolving and my joints are recoving. But again this is only my second attack. As I’ve read in the forums uric acid was probably forming all through the years. I’ve also stop colchicine since aleve works just fine now and yes Limpyrichard it was only .6. 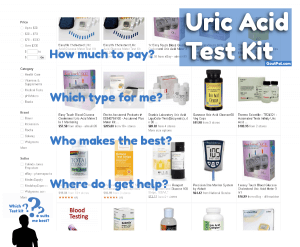 How long does it take to lower my uric acid level if I keep up the good work? I made a date with my doctor to get another blood test in 3 months. If it gets lower than 4 and I’m still getting the attacks I’m going to be very dissapointed. This, pen, is the crux of the matter. A bad allopurinol dose is a dose that is too low to get you to your target uric acid level. A significant benefit of allopurinol is that it is almost always 100% effective against uric acid from food/drink. 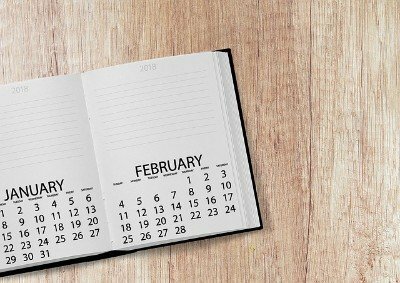 Therefore, restricting diet when on allopurinol will have almost no effect – unless you are on the worst diet in the world, which probably means you will die of heart attack or stroke anyway. Next we have uric acid from your natural cell turnover. Allopurinol seems to be about 50% effective against this. 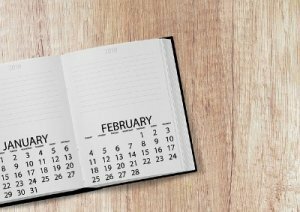 Long-term, losing weight and getting more active will help reduce uric acid, but this needs to be done slowly, so it will take several months. During that time, additional temporary allopurinol should help. Finally, we have old crystals dissolving. Allopurinol has no effect on this. This is the reason why I say aim below 5mg/dL rather than the old standard of 6 – it gives you some safety margin if your level jumps due to a large number of uric acid crystals dissolving all together. Now, until all the old crystals have dissolved, you are at risk of a gout flare. It does not really matter how low you get your uric acid. If a large number of crystals start to dissolve all at once, you have the chance of a gout flare. Nobody can say for sure how long this will take, but the lower you get the level, the quicker the old crystals dissolve, and the sooner you can stop experiencing gout flares. In my experience, the flares get less intense, disappear quicker, and are less frequent each time. Still one or two per month after about six months. They do not bother me much, and usually go without any treatment. I took 2 ibuprofen Monday, expecting a couple of days limping, but everything was OK in a couple of hours. As for where to file this, it is borderline. It certainly has to go under “pain during uric acid lowering treatment” But, as we have both seen, that is soon fixed with an anti-inflammatory. “Bad allopurinol dose” is less certain – if you are happy at 5.9, then I would say the dose is OK. Personally, I prefer lower for the reasons stated, but many people do fix their gout with the level at 6 or less. I am impatient, and I want the lowest target possible until the lump on my arm shrinks to invisible. The standard is 5mg/dL (0.30 mmol/L), but everyone has the right to determine their own target, as long as they understand why they are doing it. So it’s not the food I eat, it my body producing it now. I’m on a different level for gout treatments then since I don’t fit the typical treatment. I have to search for “Ways to lower uric acid produced by body.” I guess I’ll have to test and see. Thanks for the info and I’ll continue to seach the forum and from my experiences. You do fit the typical treatment is what Keith is trying to tell you. Most people who suffer from gout need to be on medication to lower their uric acid. If you are on Urate lowering therapy such as Allo or Uloric your diet does not really matter all that much if you are on the right dose and your UA levels are low. I have not changed my diet very much at all and my UA has dropped from over 7 to 3.3 in 5 weeks on Uloric. This is not to say that a better diet will not be beneficial for a variety of reasons, but it is not the end all be all. Also, just because you get you UA in the 3’s or 4’s does not mean you will not have some pain in the beginning. I am still having pain, but as per my Dr. this should subside after a few months. Finally, we have old crystals dissolving. Allopurinol has no effect on this. ..
Keith, is your body or your mind or both on vacation??? Since when does natural cell turnover produce ALLOPURINOL??? If Allopurinol has no effect on dissolving old crystals, why do we take it then??? If it weren’t for the EFFECT of Allopurinol to reduce the formation of uric acid and lowering the amount of uric acid in our bodies no crystals would dissolve. OK you got me Hans. Typo now corrected. You just don’t understand the pressures of typing whilst a beautiful lady hovers, waiting to take you to the pub. Uric acid always has two natural sources. One from food, which in theory you can stop by cutting out all animal purines. The other is from your own meat – your cells produce purines as they die. Most of this gets re-used in building new cells, but some will raise your uric acid. You cannot stop this completely, except by dying, but if you lose weight, especially muscle mass, that will lower uric acid, but you must do it slowly to avoid the uric acid increase from starvation. There is also an unnatural source of uric acid for gout sufferers on uric acid lowering treatment – old crystals that dissolve. I’m sorry if my typo caused confusion in my earlier reply (Thank you Hans for pointing that out – I’m encouraged to know you actually read my ramblings). Once these are gone, they are gone, and will not return as long as you keep uric acid at a safe level. Safe is 5 or 6 depending on who you listen to – I prefer 5 for maximum safety because it gets cold in winter here. You could lose some of the free uric acid by donating blood. @dl35 – great words, and I am very pleased that your treatment is progressing so well. Keith, you are right: I don’t understand, however, I wish I had YOUR problem. I’m not sure if there is a misunderstanding here or not, but perhaps this will help clarify if there is one. I found parts of this thread a little confusing. Allopurinol itself does not dissolve crystals. Allopurinol lowers serum levels of UA below the saturation point. Once blood levels are below saturation point, blood can once again absorb UA and the crystals start dissolving. So Allopurinol does not directly dissolve crystals, but it creates the environment in which they will dissolve back into the blood. @believeinscience Thank you for the clarification. Misunderstanding was caused by my typo – I originally typed allopurinol where I should have typed uric acid. You have described the situation exactly as I see it. All uric acid lowering treatment will cause this, though it may not result in a gout flare for everyone. What seems to prolong the pain most is where uric acid is lowered to just below crystallization point. Then, dissolving crystals add back enough dissolved uric acid to raise the level over the crystallization point. 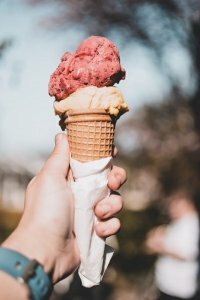 This leads to a constant melting and reforming of crystals – and therefore a constant series of signals to the immune system, resulting in a constant series of inflammatory responses. If you do not want to log in, use the orange Support button, or raise a new GoutPal helpdesk ticket. Please note that I respond quicker in the gout forums, compared to the helpdesk. Please ask in the new gout forum. 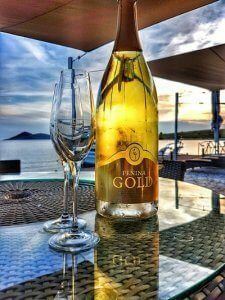 You can read old topics here, and get lots of information about how different gout sufferers manage their gout. But, if you want personal help with your gout problems, please ask in the new gout forum. I can help you find the answers to all your gout problems. 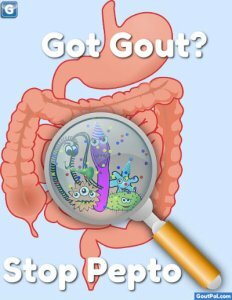 Start a new gout topic, now, or find gout facts that are relevant to you. To find answers to specific questions, please use the gout search box near the top of every page. If you need more help, just ask in the gout support forum. should I buy a home UA tester? Early indicators for end of gout attack. Can you massage joints to break down crystals? Why no Pepto for Gout? 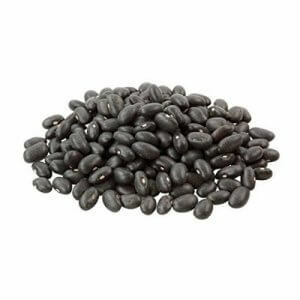 Are black beans bad for gout? See more Favorite Gout Discussions. Normal uric acid is meaningless. 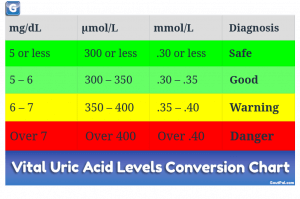 See Uric Acid Levels for more, or use the Uric Acid Concentration conversion calculator. © Keith Taylor 21st Dec 2006 - . All rights reserved. Please ask in the new gout forum. You can read old topics here, and get lots of information about how different gout sufferers manage their gout. But, if you want personal help with your gout problems, please ask in the new gout forum. To find answers to specific questions, please use the gout search box near the top of every page. If you need more help, just ask in the gout support forum. You need to Log In to GoutPal before posting in the gout forum. If you have trouble logging in, please click the orange Gout Support button, or raise a ticket in my Gout Helpdesk.